Israel will be sending 3 men’s teams of 5 players each plus a ladies team of six players to participate in the Lawn Bowls tournament at the Maccabi Australia International Games (MAIGS) in December. 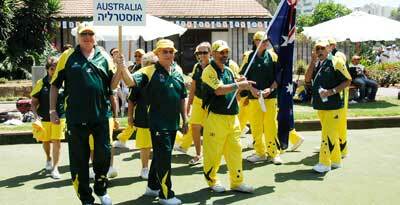 The Lawn Bowls delegation will be supplemented by 6 supporters – the Israeli Lawn Bowls equivalent of the Barmy Army. All games will be played at the Double Bay Bowling Club. The tournament will include competitions in all 4 Lawn Bowls disciplines – Singles, Pairs, Triples and Rinks (Fours) – and the winners of the overall team event will be determined by the team accumulating the highest number of points in the different disciplines. 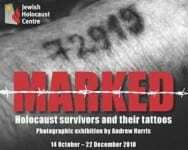 In addition to the Israeli and Australian teams, New Zealand will also be fielding a team in what promises to be a high quality event. Many of the Israeli players have impressive records. The team will include at least one member of the current Israeli national team plus a number of previous winners of national titles. A number of the team members are regular participants in the World Professional Bowling Associationqualifying events to determine the Israel representative at the international Indoor Lawn Bowls events held in the UK. The team also includes a few younger bowlers who will provide the nucleus of Israeli Lawn Bowls in the years to come. Maccabi Australia has an excellent reputation for both hospitality and tournament organizing skills and the Israeli delegation is excited at the prospect of renewing the friendships forged at the Maccabi Games in Israeland at the previous MAIGS held in Sydney in 2006.